SolaraGuy.com • View topic - My Subs are loud!! LOVING it! My Subs are loud!! LOVING it! Re: My Subs are loud!! LOVING it! Yeah I love my subs! Easily worth the $500 for the head unit, the subs, the sealed box, the amp, and all the wiring. If I have the time i'll post up a video. You'll easily be able to see the mirrors shaking. dam 500 for everything? I paid that much for my Type R's and the enclosure. Haha yeah ill definitely try and get a vid up soon. And yeah I did get a really good deal. Crutchfield ftw! I know how you feeling. 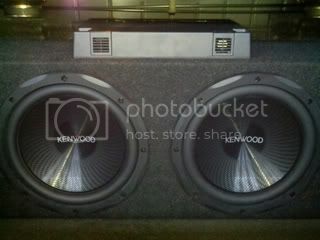 When i got my 2jlw3 10inch rocking with my MTX. It was awesome. Before i had a 12" Polk and it was not as crisp. I've got 1200wrms on 1 Fi 15 in a custom built ported box. It flexes everything and still sounds great. I still need to put a finish on the box, but I've been busy. Let's get some vids up! Wow, crutchfield pulled through for ya. Good deal! i got 2 10's and i'm already starting to rattle inside the cabin. couldn't live without my subs though. ^haha, that would be a problem. If you have a thumb drive handy, you can load some songs on that. I'm assuming your head unit has USB con. since you use your phone. I've been subless for over a month now I bought a Bazooka tube off kijiji for $100 just to have some bass for the winter and planned on getting new subs at the start of summer. 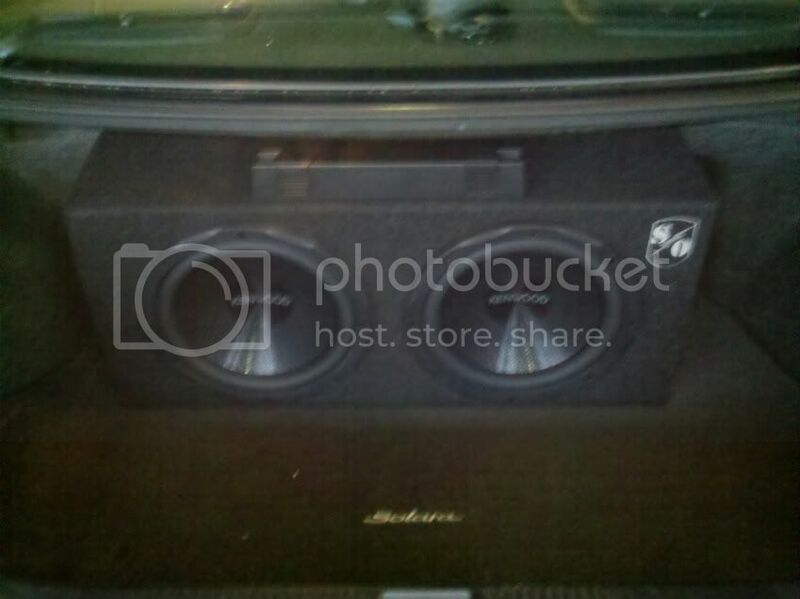 So I found 2 10'' Kickers in a ported kicker box for $150 on kijiji (basicly brand new) and bought them and sold the Bazooka tube for $100. Except the problem is I lost the keys to pull out my deck and have been waiting for over 3 weeks on the worst ebayer of all time for the replacement keys. Music sounds like sh*t without good bass. Can't you just unbolt the mounts on the HU and hook up the RCAs that way? 99BlackSandv6 wrote: ^haha, that would be a problem.